Infinity Series Chromoly Rear Axle Shaft Assembled Pair Jeep TJ, LJ, XJ - 30 Spline. RH 29-3/4 inch, LH 29-1/4 inch 10 Wheel Studs (Non ABS) - Drum or Disc Brake Bearing Retainers Available. 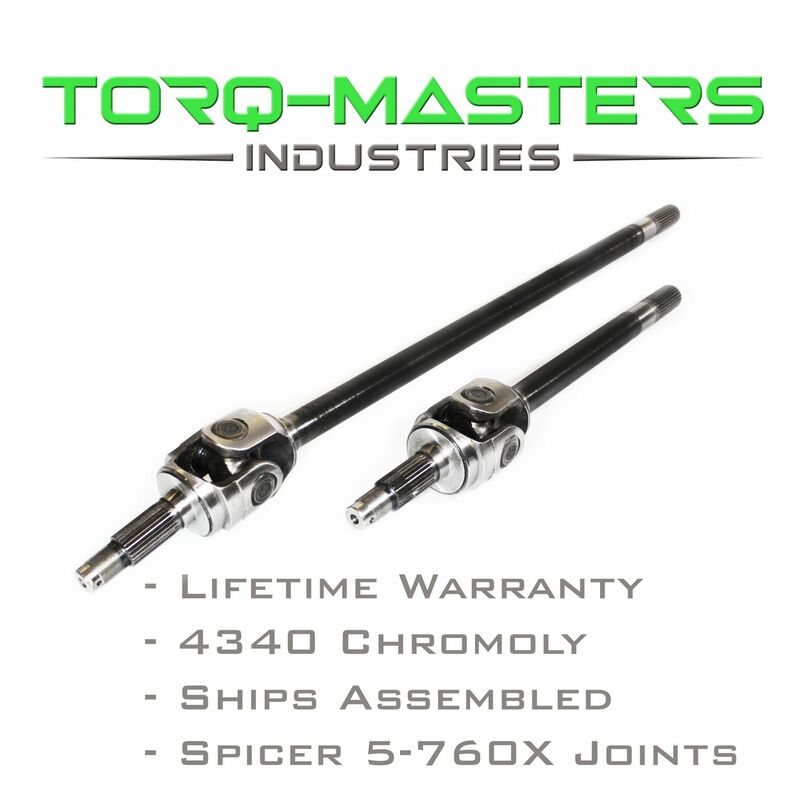 Torq-Masters Industries Infinity Series 4340 Chromolly Axle Shafts are an essential upgrade Offroaders looking to get the most out of their vehicle. Our Heavy Duty shafts are built to such high quality standards that we can offer an exclusive Lifetime Warranty, giving you piece of mind in the most extreme situations.